Alan Duffy receives funding from Swinburne University of Technology. Amid all the crashing onto comets and planning trips to Mars, you may be forgiven for missing a wonderful scientific result from NASA: the discovery that tiny Mercury joins Earth as the only other tectonically active rocky planet. 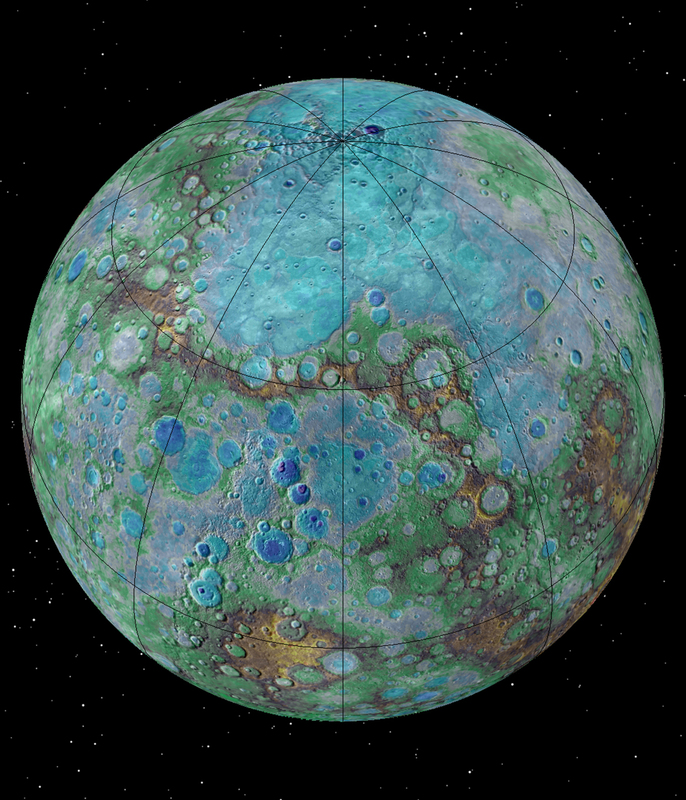 Mercury’s small size means that the core has cooled to such a degree that the surface should be in a dull, geologically dead state, like that of Mars. Yet close-up views of the surface from NASA’s MESSENGER (MErcury Surface, Space ENvironment, GEochemistry, and Ranging) spacecraft have challenged that picture. Small troughs (or graben) have been found alongside previously seen step-like cracks (or fault scarps) in the surface caused by the shrinking of the planet. These troughs, however, haven’t suffered weathering by the frequent meteor bombardments. This suggests that tectonic activity has occurred relativity recently, in the last few million years, rather than billions. Activity in a world only fives time more massive than our Moon. As a raisin wrinkles as it gets smaller, the shrinking inner core of Mercury as it cools causes cracks to form in the single tectonic plate that makes up the surface. This surface plate is more like a single eggshell than the Earth’s multiple plates. These cracks, or scarps, can be step-like cliffs over a kilometre high and run for hundreds of kilometres along the surface – a consequence of the entire planet shrinking by 7km over billions of years. Just as the Rosetta mission recently plunged to its destruction in Comet 67P to get a final closeup view the MESSENGER spacecraft plunged into Mercury last year, ending its mission spectacularly to provide us with views of the smaller troughs alongside the scarps. The presence of these troughs mean that there may be another familiar feature to us on Earth of a tectonically active surface: earthquakes (or, perhaps more accurately, Mercury-quakes). If seismometers could be placed on the surface to measure these quakes, we could build up a picture of the planet’s interior – just as the refracting (bending) and timing of seismic waves through our planet reveal Earth’s structure. This latest result joins a growing list of surprises on Mercury that have come courtesy of MESSENGER’s exploration. There was the spectacular discovery of water ice on a planet whose surface reaches 430℃ during the day. The dark surface colouring was revealed to be caused by layers of graphite – the “lead” in pencils. This was so unexpected that MESSENGER lacked the capability to search for it, and it had to be deduced indirectly using a combination of several instrument readings. The latest close-up view of the tiny world merely heightens the anticipation for the next mission to Mercury, BepiColombo. This joint mission by the European Space Agency and Japan Aerospace Exploration Agency will reach Mercury by 2024. As with Rosetta, these planetary space missions show that there is no substitute for directly exploring distant targets. Up close, foreign worlds are always full of surprises.